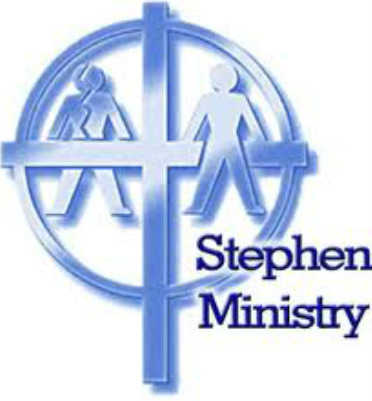 Stephen Ministry is a ministry in which trained and supervised lay persons, called Stephen Ministers, provide one-to-one Christian care to individuals facing life challenges or difficulties. Stephen Ministers are caring Christian friends who listen, understand, accept, and pray for and with care receivers who are working through a crisis or a tough time. If you are in need of a Stephen Minister, please click launch form below. Care Receivers are the recipients of Stephen Ministers’ care. They are people from our church or community who are experiencing divorce, grief, loss of a job, loneliness hospitalization, terminal illness, or any number of other life difficulties. Tricia Croxford, Joan Grant and Rita Chessor were among a large number of pastors, church leaders, Stephen Ministers, and other new Stephen Leaders at a Stephen Series Leadership Training Course in St. Louis, MO. This training was a life-changing experience quite unlike anything they had ever been a part of. There were 283 people from across the country and about 60-75 congregations represented at this course. Yet, they were united in mission: learning how to bring Jesus’ love and care to hurting people. Our request of you, our congregation, is to pray for this ministry. Begin searching your hearts and spiritual gifts to see if this is a ministry you would like to be involved in; pray for the leaders to be able to bring the teachings to the recruits in an orderly and understandable way; and for the people in our church and community who will need and receive this loving care. To visit the Stephen Ministries website click HERE.